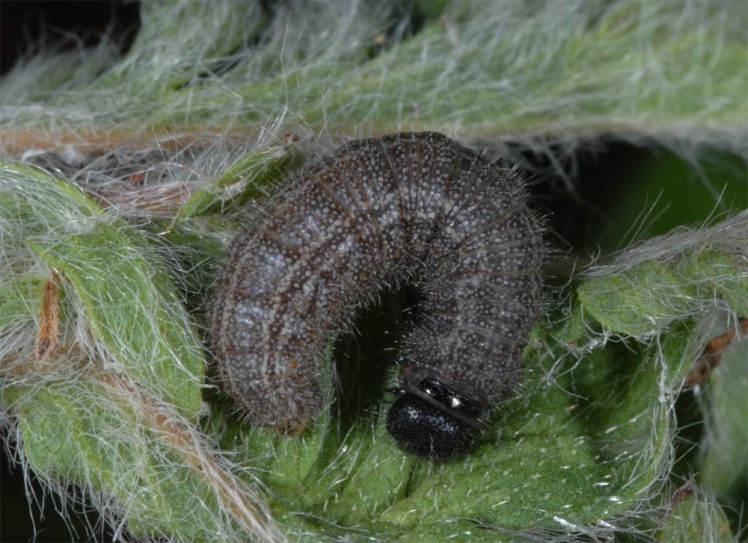 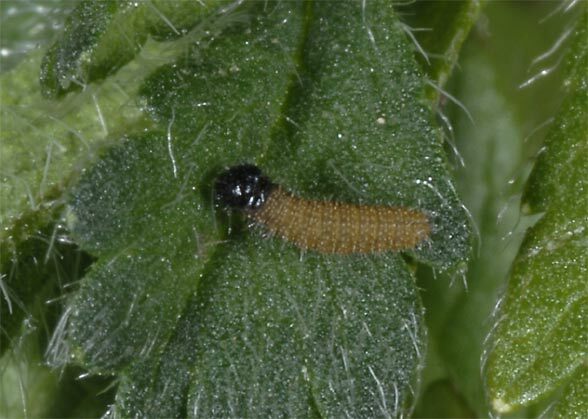 In Greece, the larvae feed on Potentilla recta and rarely Potentilla hirta (the latter observed in the Askio mountains in 2009). 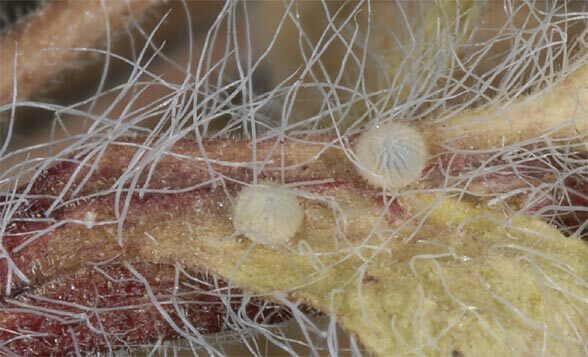 Ovipositiontakes usually place increased on already dried fruit shoots (stem leaves, stems, most often calyx bottom near stem insertion). 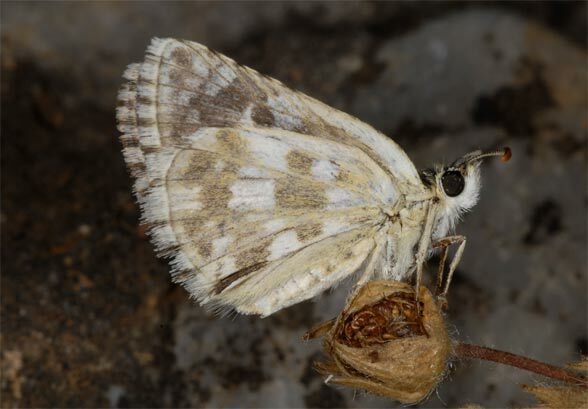 In Spain (ssp. 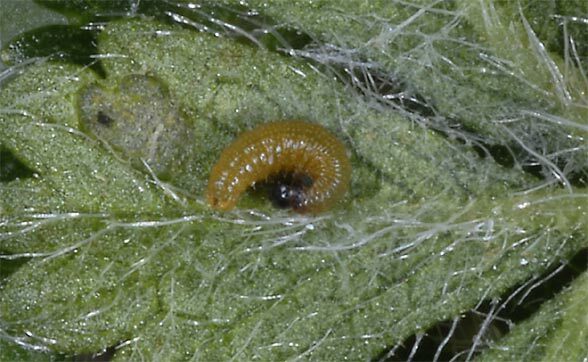 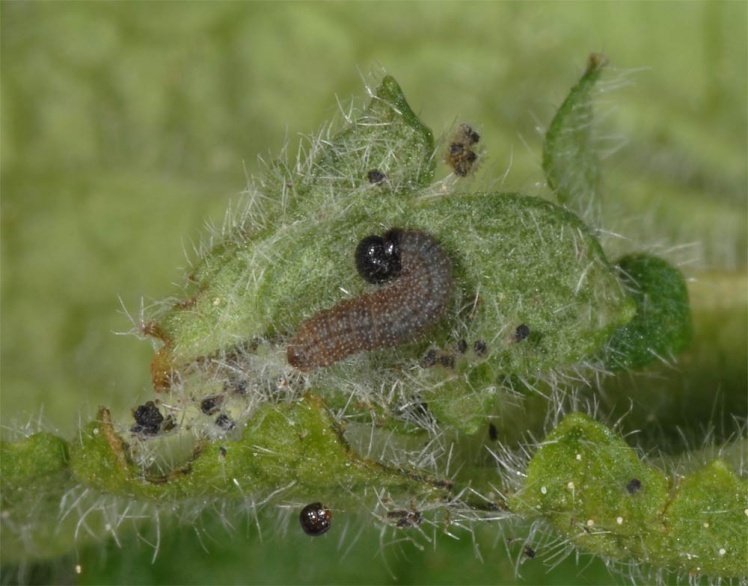 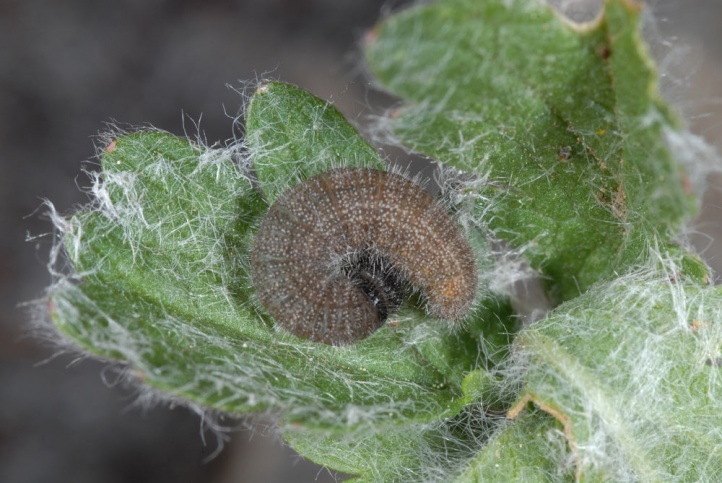 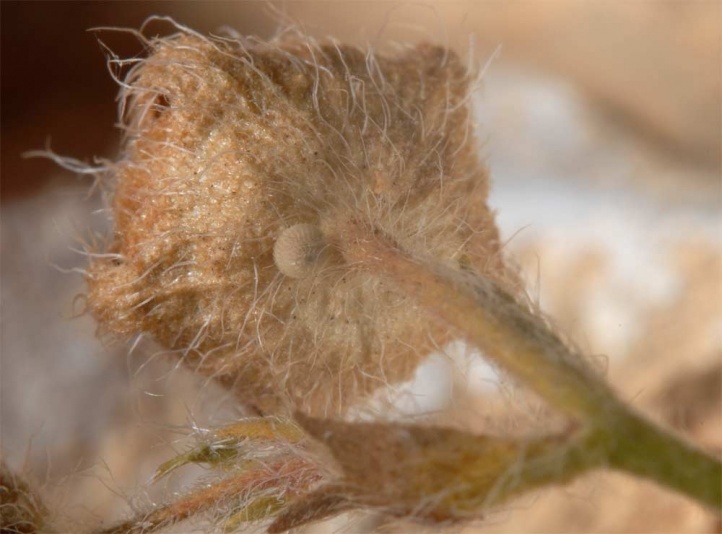 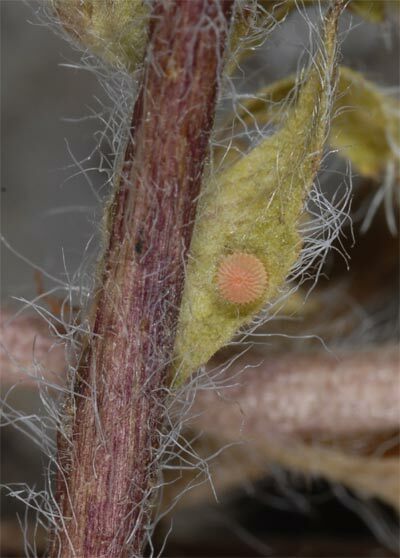 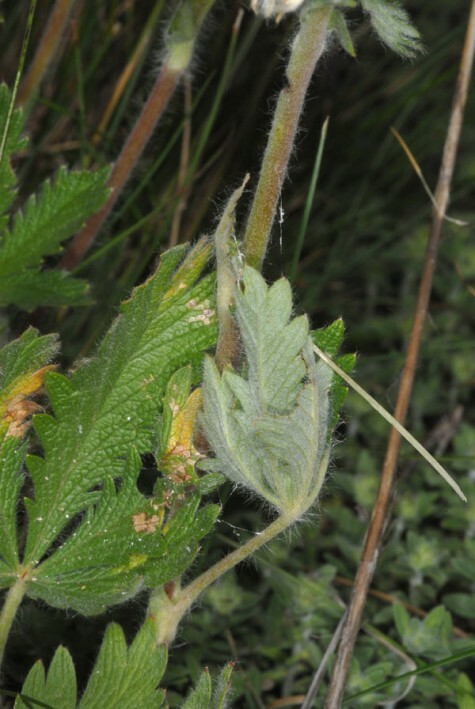 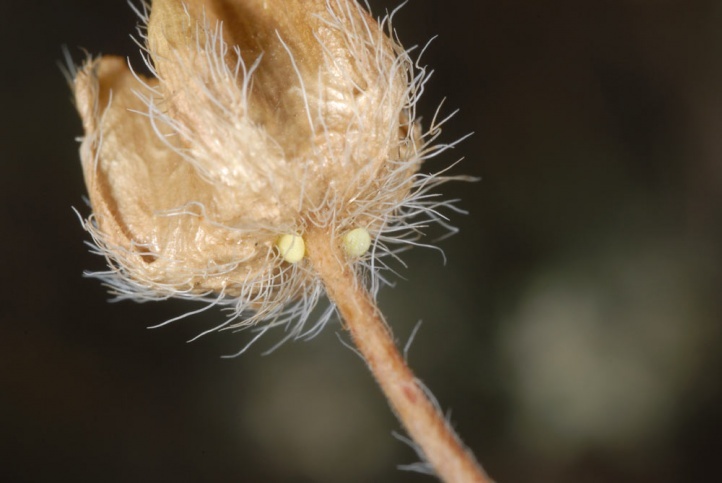 chlorinda), oviposition takes place in the same way to Potentilla recta and Filipendula vulgaris (Juan Hernandez-Roldan). 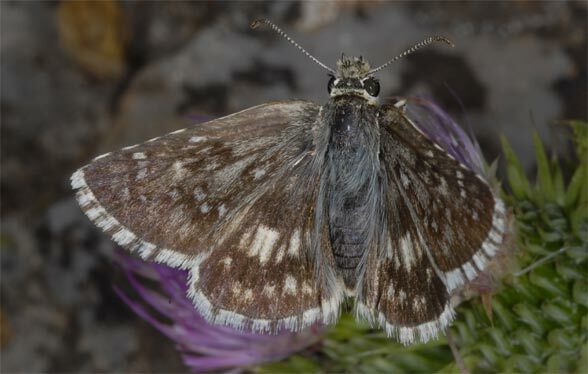 Pyrgus cinarae colonizes vast steppe slopes in the white oak zone with single trees, often along with Pyrgus sidae, P. serratulae and Spialia phlomidis. 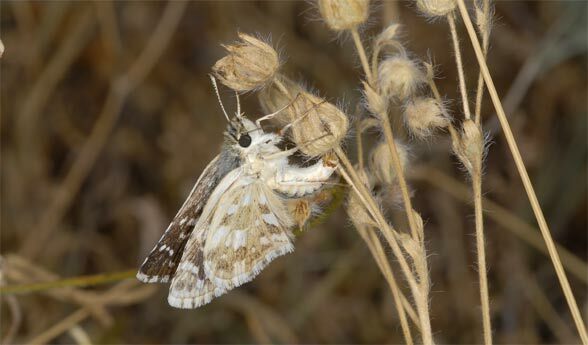 Pyrgus cinarae flies in Greece from the end of June to early August. 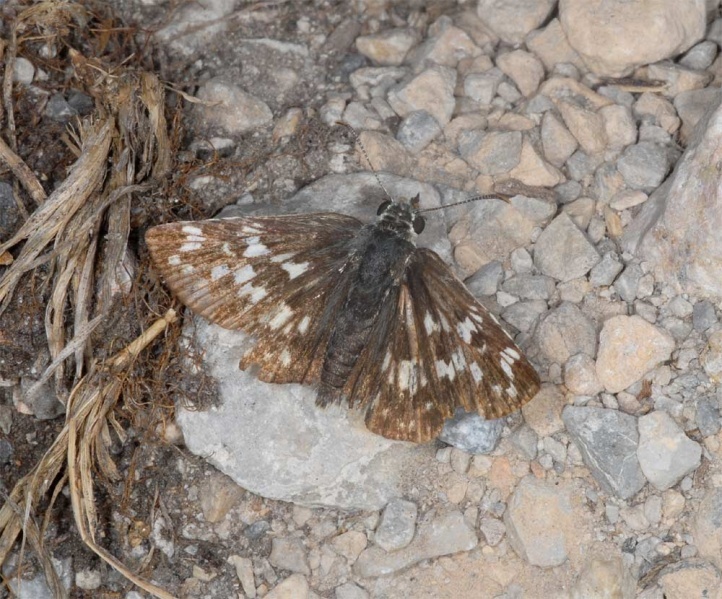 I found a well-preserved female in mid-July 2007 in the area of the Prespa Lakes in Northern Greece in about 1000m asl. 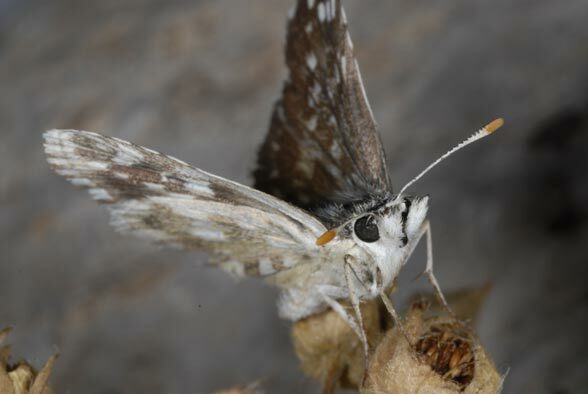 The adults fed nectar around 9:30 am local time on Scabiosa ochroleuca and Centaurea species. 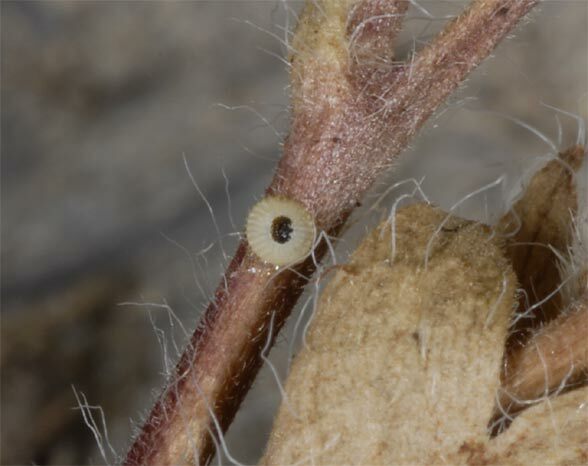 Afterwards the eggs were attached increased (heat protection) onto dry fruiting shoots of the host plant. 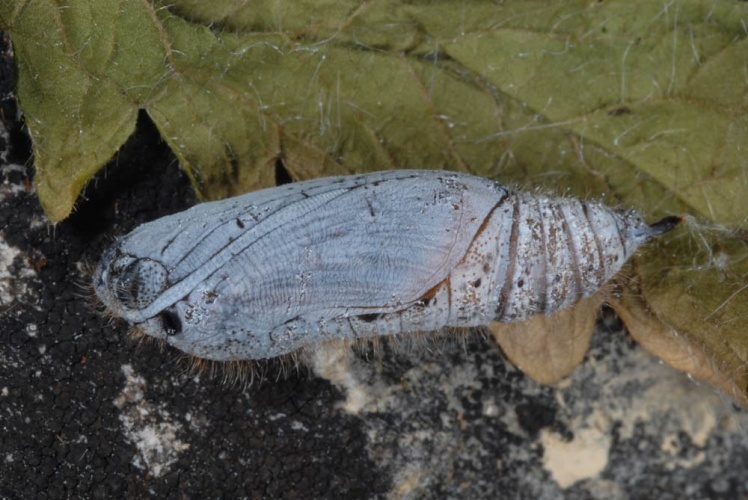 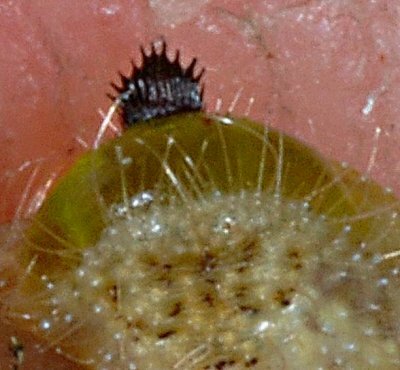 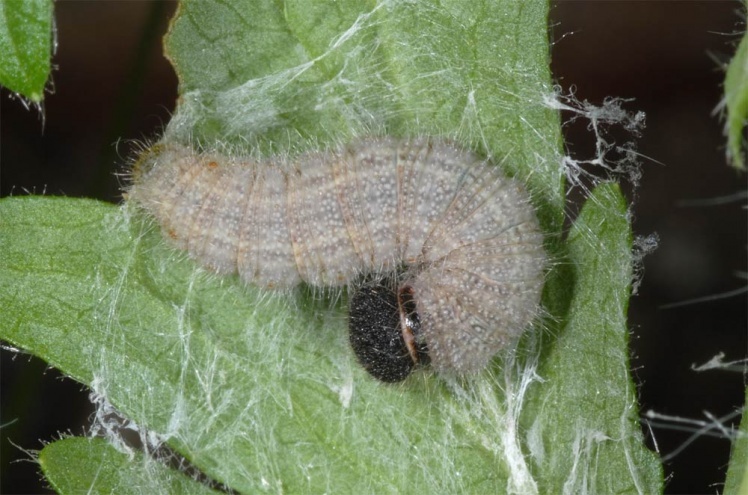 The caterpillars hibernate in the egg and hatch usually in March. 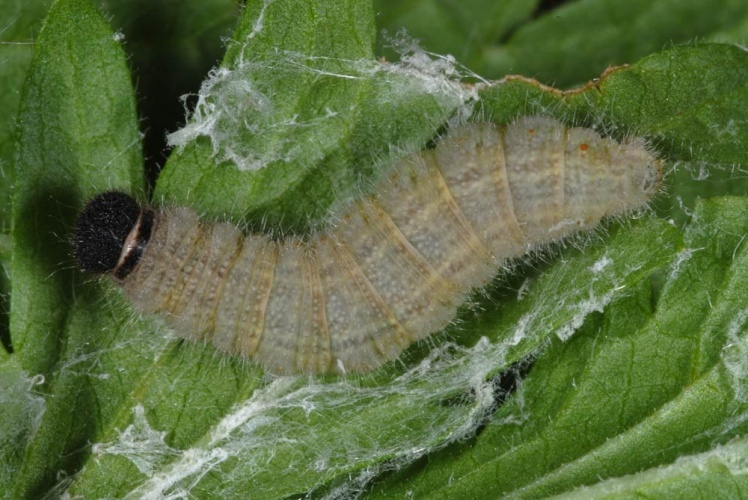 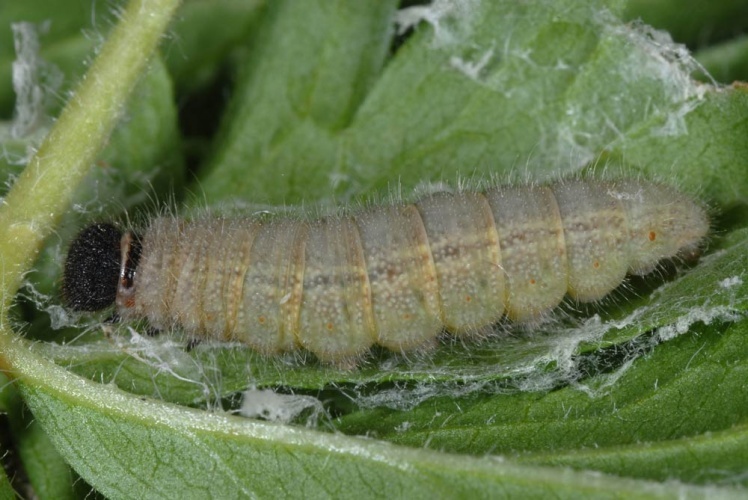 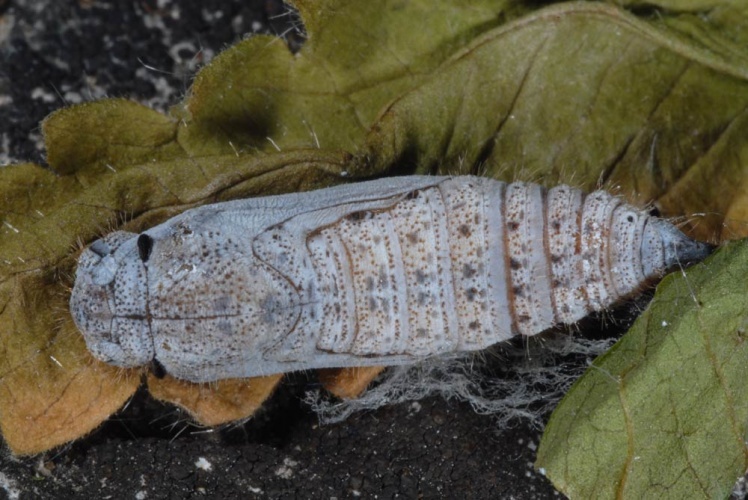 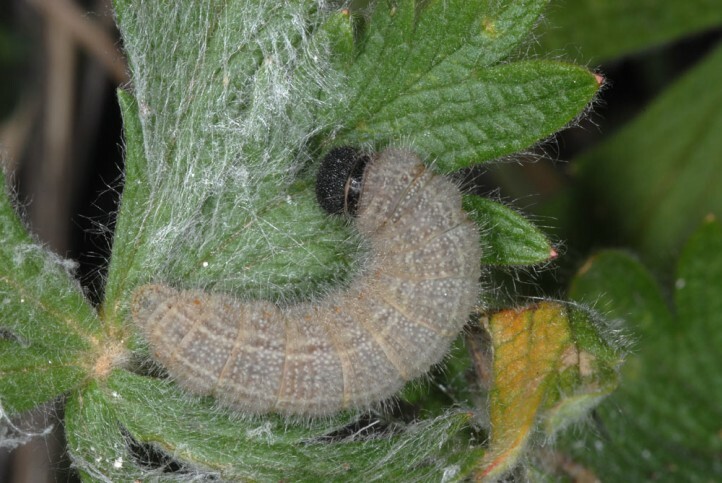 The initially slow development lasts over 4 larval moults until late May or early June. 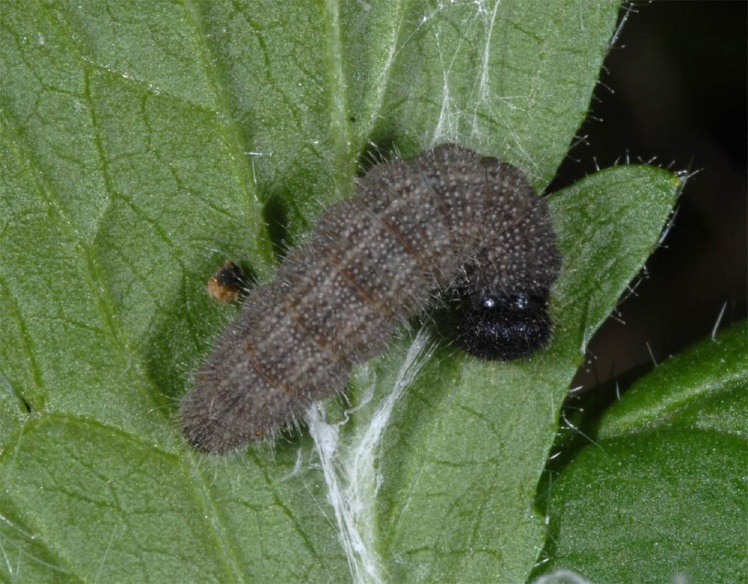 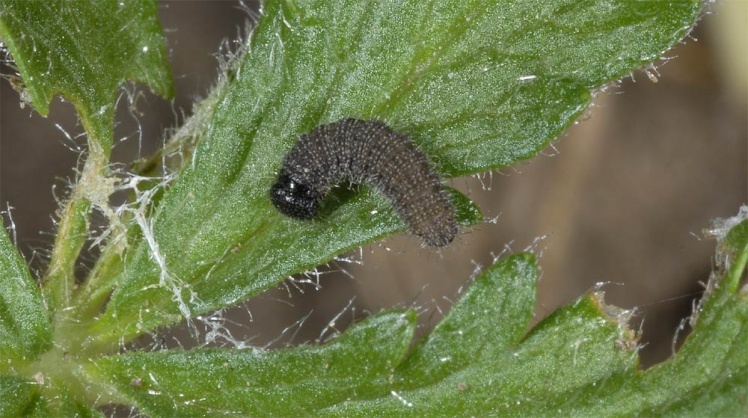 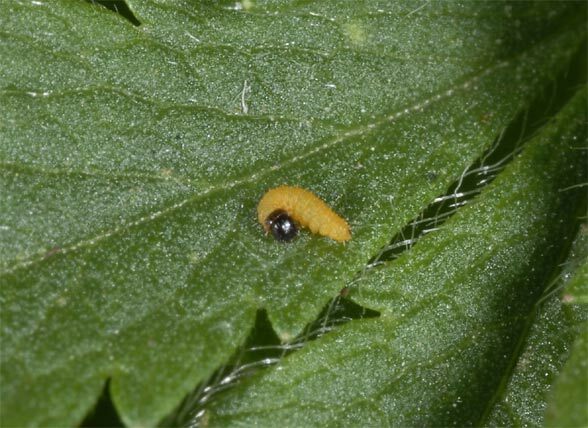 The caterpillars live in shelters also increased initially on ground leaves with long petiols, but later preferred on stem leaves of flowering shoots. 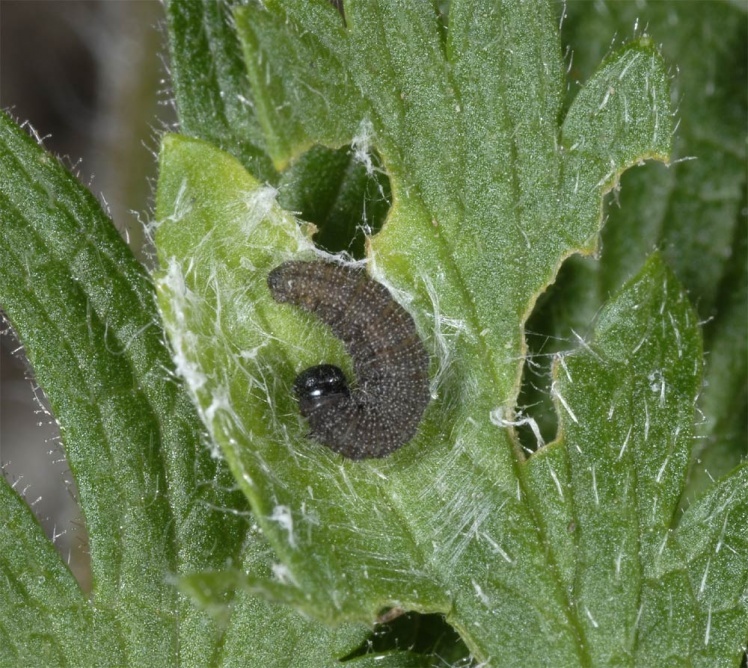 This is also where the chrysalis shelter is constructed. 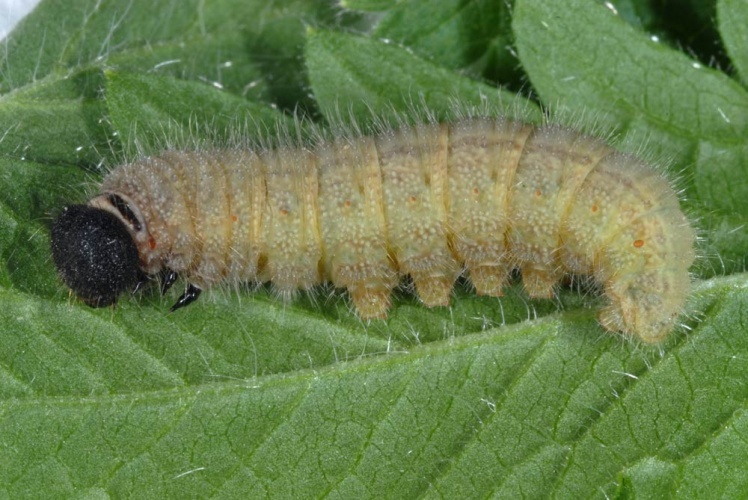 The caterpillar is coloured very bright in last instar. 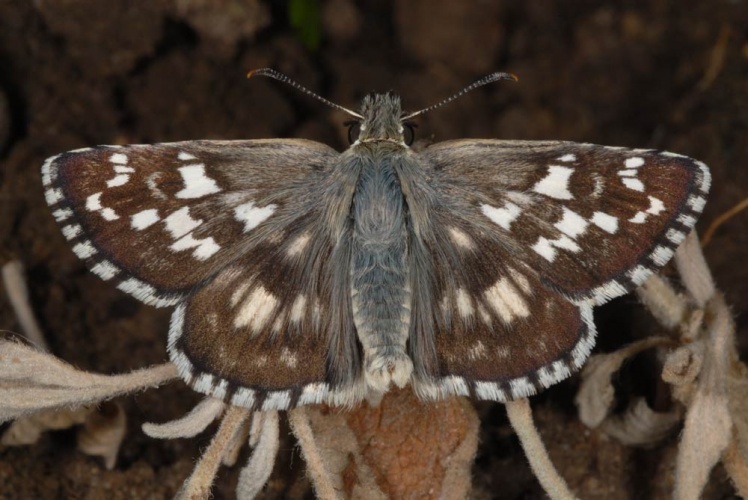 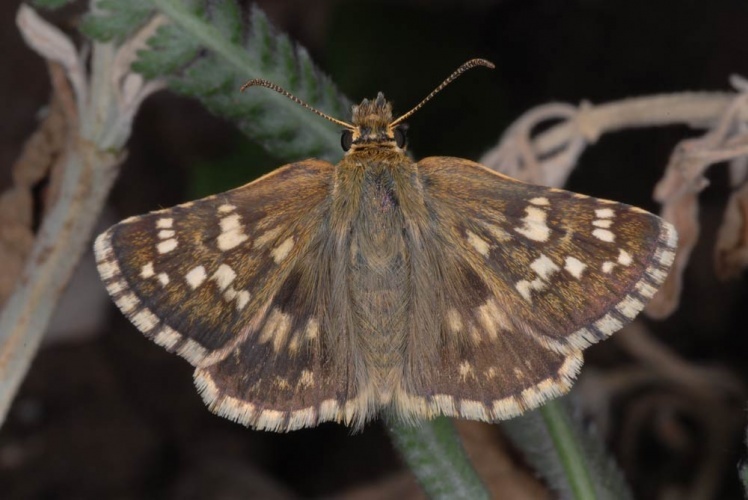 The development and morphology characterize Pyrgus cinarae as belonging to the Pyrgus carlinae complex. 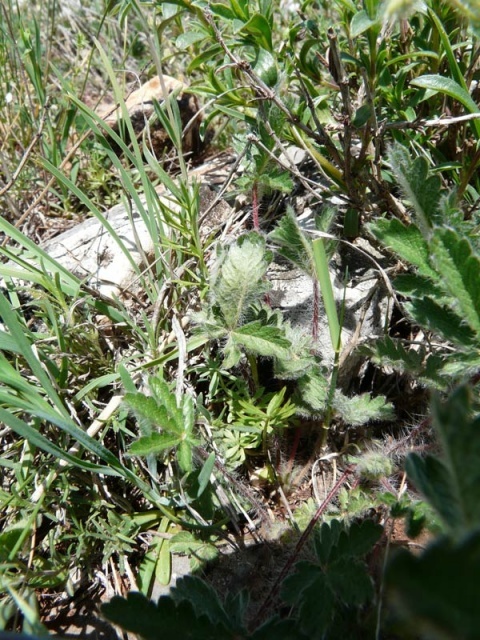 In late July 2009, I observed numerous eggs and last flown adults in the Askio Mountains. 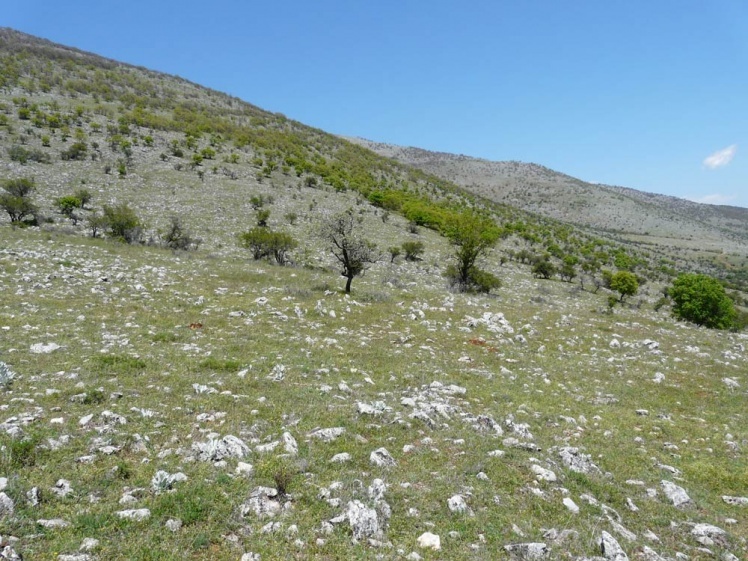 In general, there a significant threat of overgrazing, fire (negative at least in the short term, because of the local populations, but in the long term possibly more beneficial? 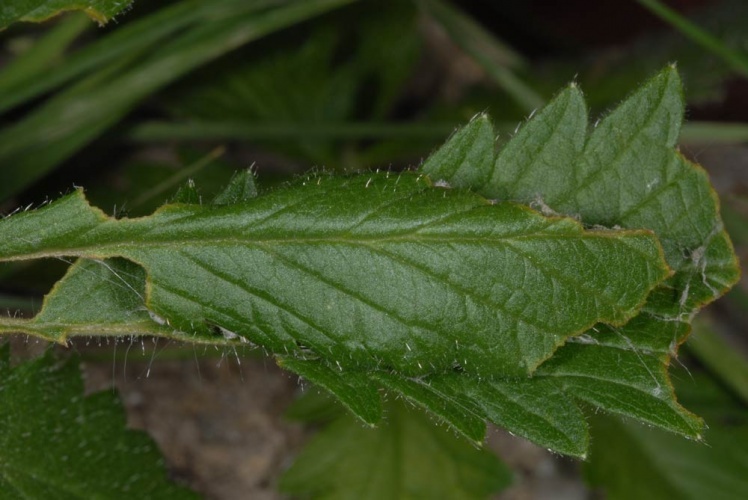 ), overbuilding, creation of large quarries and rubbish deposits. 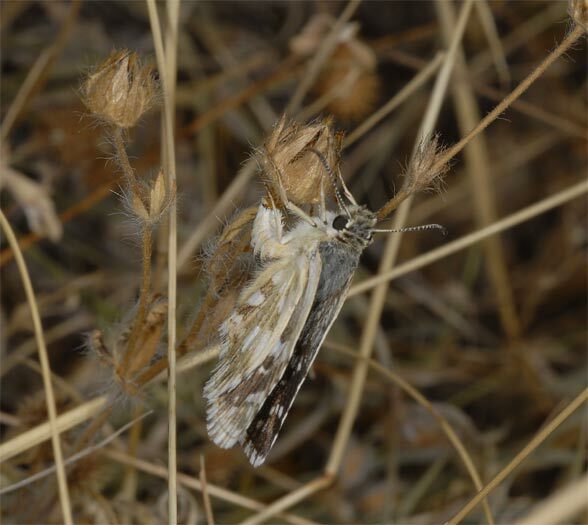 Pyrgus cinarae should particularly suffer from heavy overgrazing (oviposition increased on stems and fruits), while extensive maintenance is beneficial. 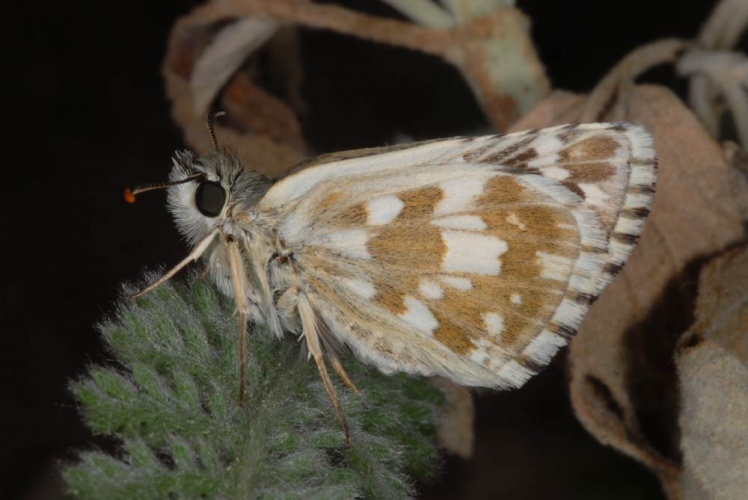 Pyrgus cinarae does not tolerate mowing at all. 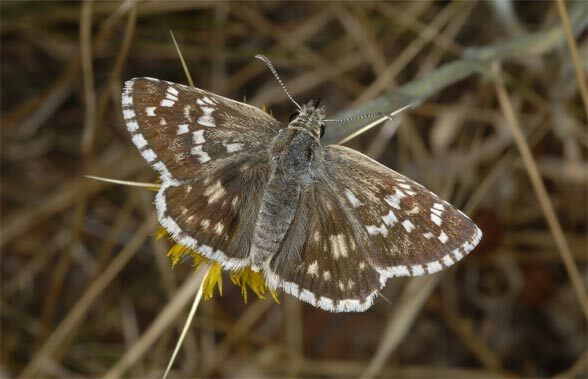 Pyrgus cinarae requires very large or closely connected habitats! 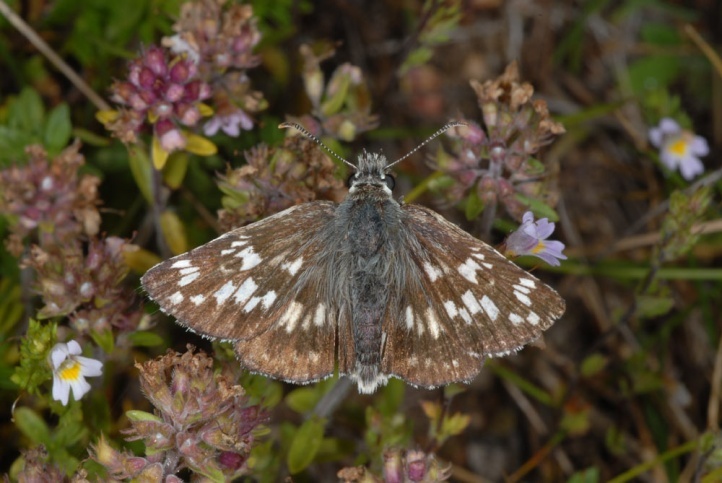 Pyrgus cinarae is very local in Spain (apparently at a later flight time, especially in late July and August). 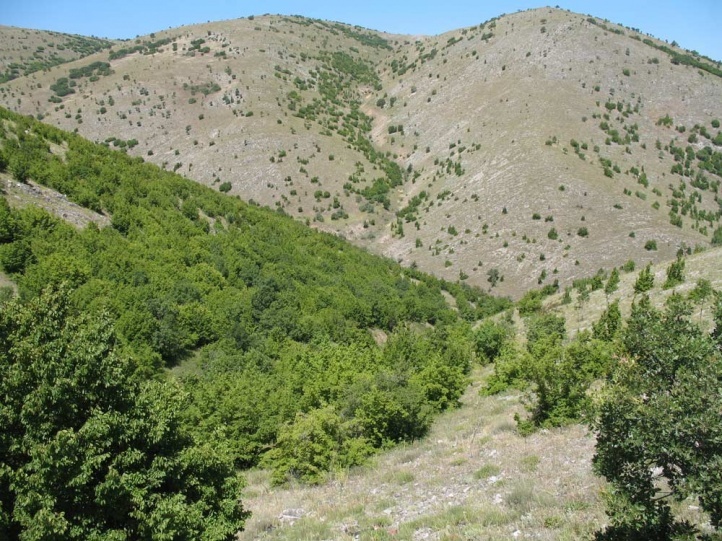 The main distribution extends from Albania and S-Serbia across Northern Greece, Macedonia and southern Bulgaria to southern Russia and Turkey. 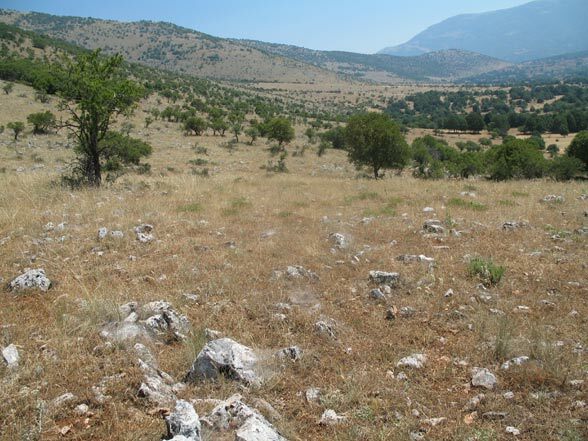 But its distribution is only local even in Greece (where it has a distribution maximum: lake Prespa, Kastoria, Kozani).